The 23rd edition of the Global Architecture International Exhibition by PORCELANOSA Grupo has left its trace of quality and innovation by means of every single latest design presented by the eight firms of the Grupo, ranging from the most sophisticated floor tiles and wall tiles, to the most avant-garde building systems, kitchens or bathrooms. With regard to the bathrooms equipment, the PORCELANOSA Grupo firm, Noken, has strived to be once again positioned as the benchmark in design and state-of-the-art technology, by presenting its new bathroom taps from the Pure Line collection. Inspired by the most cosmopolitan atmosphere and recalling the language of shapes, the Pure Line collection by Noken provides both symmetry and asimmetry; geometry and pureness; excellence and sensuality. The firm looks for comfort in the timelessness and functionality of its products in order to get users absolutely satisfaction, either by means of its innovative basin taps or its shower and bathtub versions. The Pure Line basin taps stand for both simplicity and elegance. 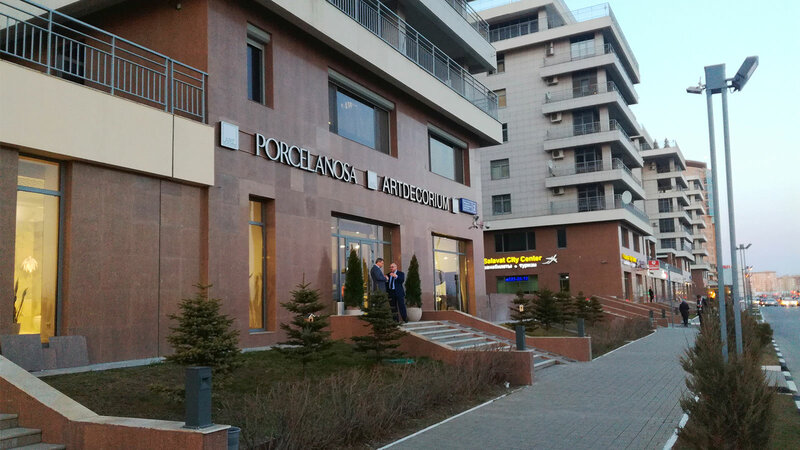 They consist of a cylindrical body which includes a high spout for the water way, which go back to the solid and versatile design. 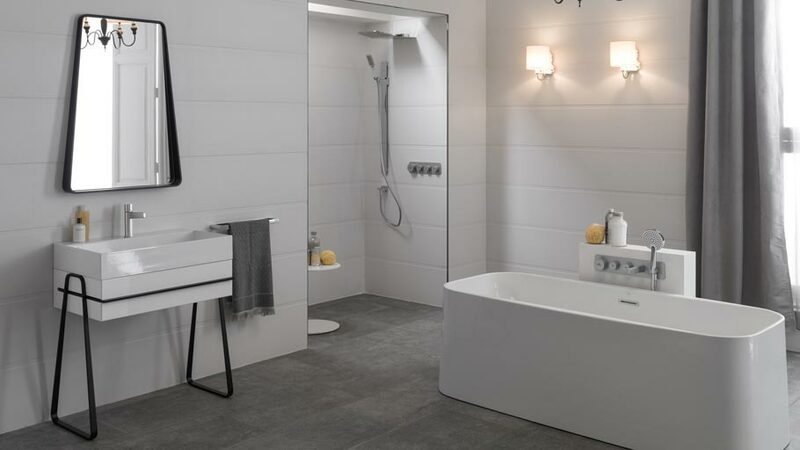 But the reason why this solution for the bathroom stands out, lies in its high technology in the configuration, easy-to-use controls (temperature), which is in line with both environmental awareness and water saving. Both innovation and technology are also present in the elegant shower taps from the Pure Line collection by Noken. This tap series has a control panel that serves as a simple and intelligent interface. Both the shower modes, with easy identifiable icons, and the water flow rate, offer a soft shower or with the strong and intense water that the jets offer, are easy to use. 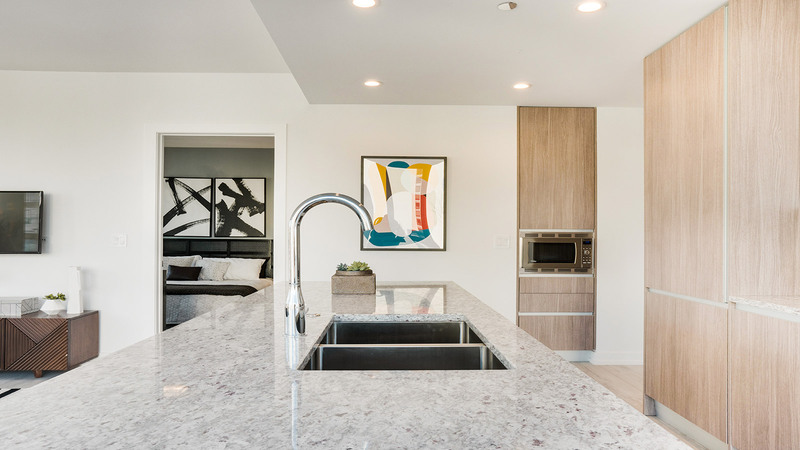 On the other hand, Noken offers within its Pure line series, a wall mounted match tap with a thermostat as well as a high spout, thus, customising the experience in the bathroom even more. 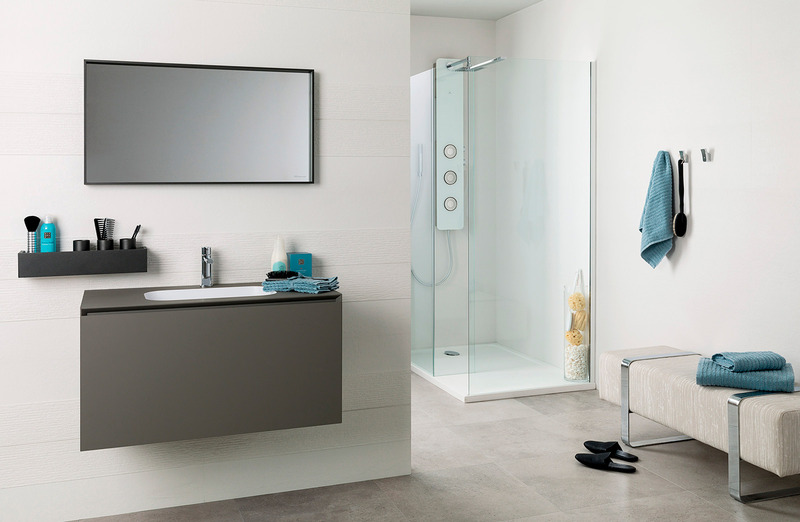 The Pure Line collection also includes a complete bathroom equipment, which looks to to both delight and surprise. 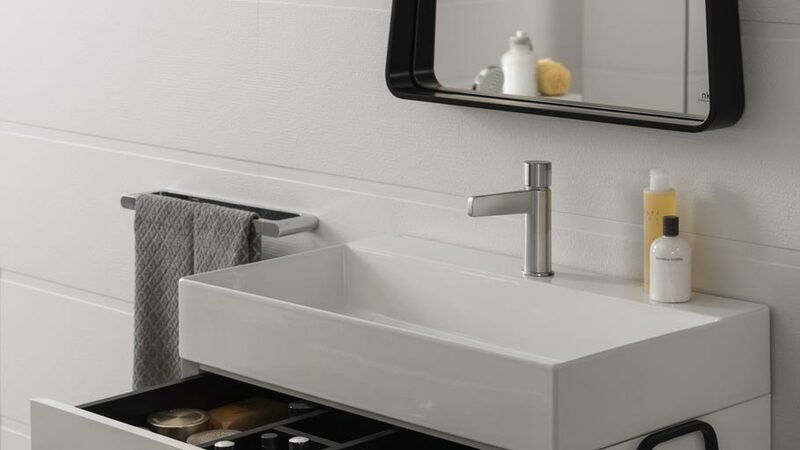 By making the exciting Pure Line sensation in the bathroom uniform, Noken offers its original elegant range of basins, bathroom furniture and mirrors from the collection. 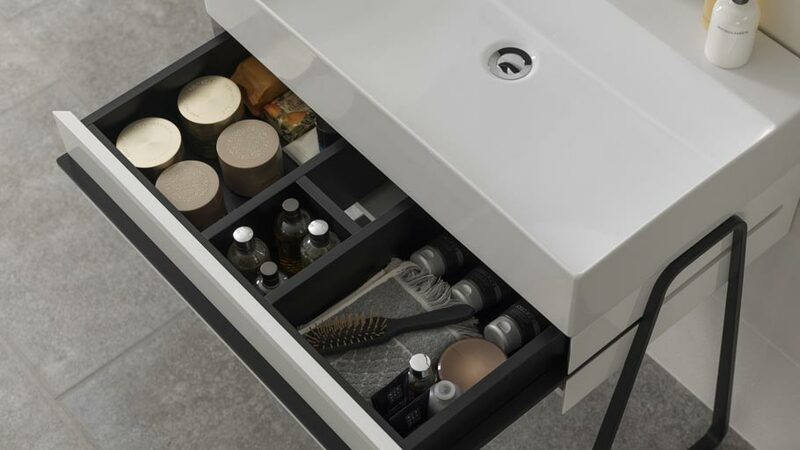 The basin is defined as a high-class extra slim and highly resistant piece of ceramic, whereas, the bathroom furniture is presented on a structure of black metal legs, including a practical storage drawer with a match handle. In line with the basin trend, available in a sumptuous recessed version, the collection also offers the Pure Line mirror, thus, reinforcing the concept of innovative design of this assymetrical-essenced series.